You were so kind to answer my recent questions about Social Security and I really appreciate how quickly and accurately you accomplished it. Now I would like to ask for your help again for my son (age 61) who has been battling throat cancer for about six months and had to have his voice box and larynx removed so is unable to speak. He is a handyman, so it is difficult to communicate with customers or potential customers. One of the medical people suggested he sign up to get help from Social Security so he tried communicating with them on the computer but couldn’t get through to someone who could help him. He tried the local office and there were over 100 people waiting! We have been helping him financially, but he doesn’t like taking aid from us. You answered my questions before in a few days that I had been trying to get done with others for over 3 months, so I was really impressed! Consequently, I thought of you when thinking about my son’s medical problems, and the difficulty communicating with Social Security. Any advice or assistance you can offer will be greatly appreciated. I’m sorry to hear of your son’s battle with throat cancer, and I’m happy to help however I can. From what you’ve described to me and assuming your son has worked in Social Security covered work long enough, he should apply for Social Security Disability Insurance (SSDI) benefits because he is unable to work in his trade due to his throat cancer and permanent vocal disability. Since he’s lost his ability to speak your son can apply for SSDI benefits online, and the best place to start is at this link. This will take him to a “disability starter kit” which includes a checklist of information your son will need to have available to complete the online application (including and especially his medical information) as well as a link to fill out and submit the application online. When starting the online application, he’ll be given a “reentry” number, so he can start/stop and re-enter as many times as necessary before finally submitting the application. Once the application is received by Social Security they will review it and notify him either by mail, electronically or by phone to arrange an interview. On the application, your son should specify that he is unable to speak and request an in-person interview. When submitting the application, be sure to use a phone number for someone who can speak with the SSA agency representative and explain your son’s situation – that he needs an appointment for an in-person interview. Don’t be discouraged if the application is at first denied, because about 2/3rds of all initial applications are. If initially denied, appeal the decision immediately, multiple times if necessary, including appealing to an independent Administrative Law Judge. 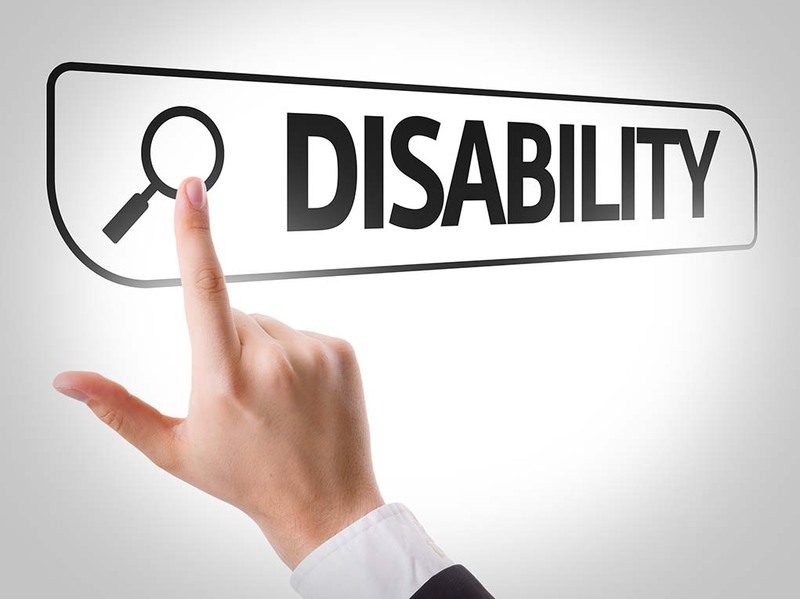 By using the online process your son can submit the disability application and get the process started without needing to speak to anyone at Social Security, and he can also have someone accompany and represent him with Social Security, if needed. Finally, depending upon your son’s financial situation, he may also be eligible for Supplemental Security Income (SSI). SSI provides financial assistance for disabled people with few assets and low income.